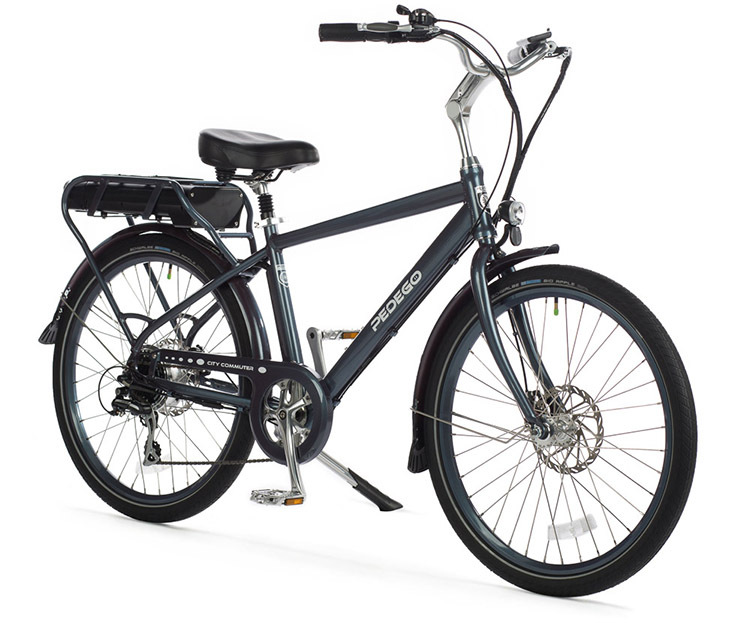 The Pedego City Commuter Classic is all about function and fun. 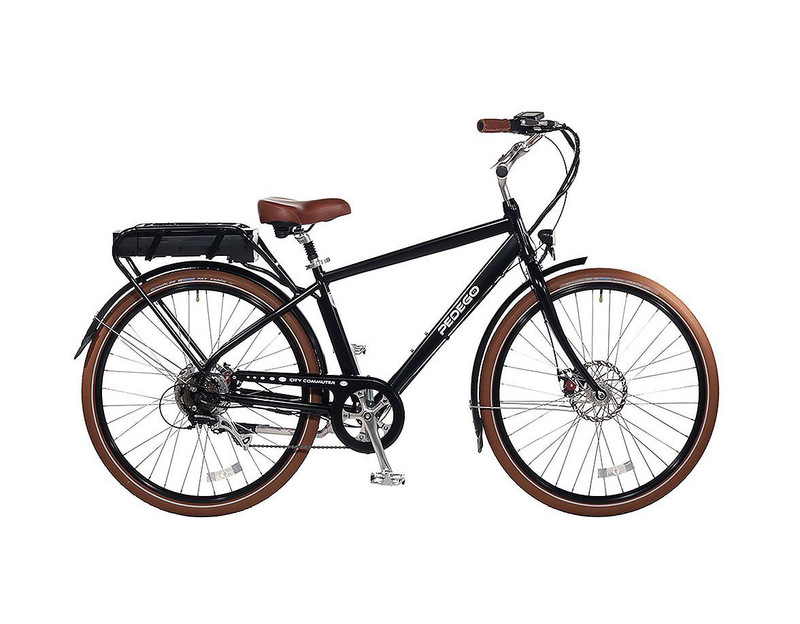 Riders who want the timeless look of the traditional bike but with the features of innovative e-bike technology will find this model a perfect fit for their needs. Pedego is a company established in 2008 by Don DiConstanzo (a visionary) and Terry Sherry (a technology expert). Both are astute businessmen and electric bike enthusiasts. 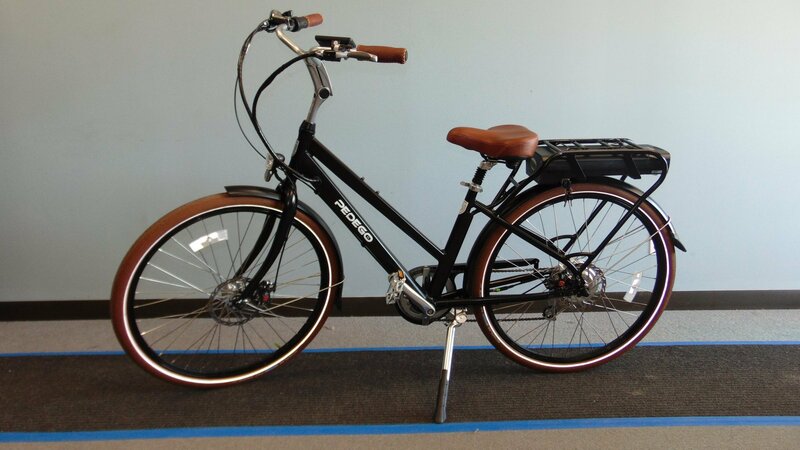 Pedego was recognized as one of America’s best-selling brands in 2014. 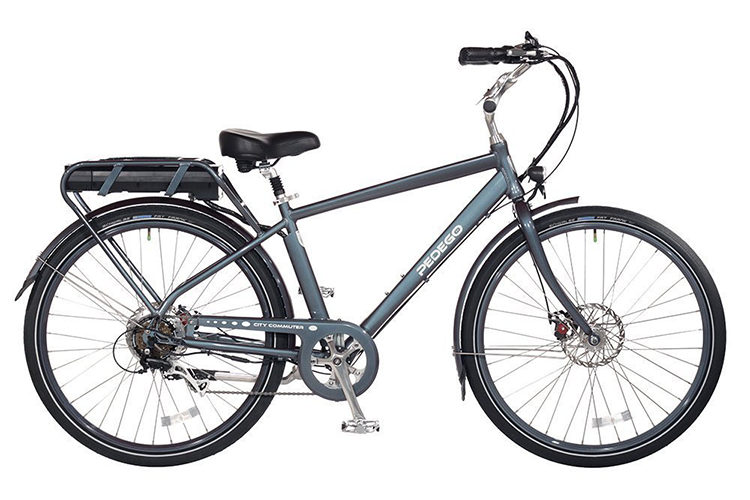 The City Commuter Classic features a state-of-the-art geared motor that powers hill climbing and great acceleration. It is lightweight, has a long-lasting lithium battery with Samsung cells and a three year limited warranty (a rare find when it comes to e-bikes). Battery comes in capacities and options of your choice. Parts include top of the line SRAM disc brakes, a twist-and-go throttle, Shimano seven-speed gears, self-sealing tubes that help prevent flats, a quick-release handlebar stem and a deluxe saddle with a suspension seat post for extra cushioning. Its traditional city-style handlebars add to that natural, classic feel. 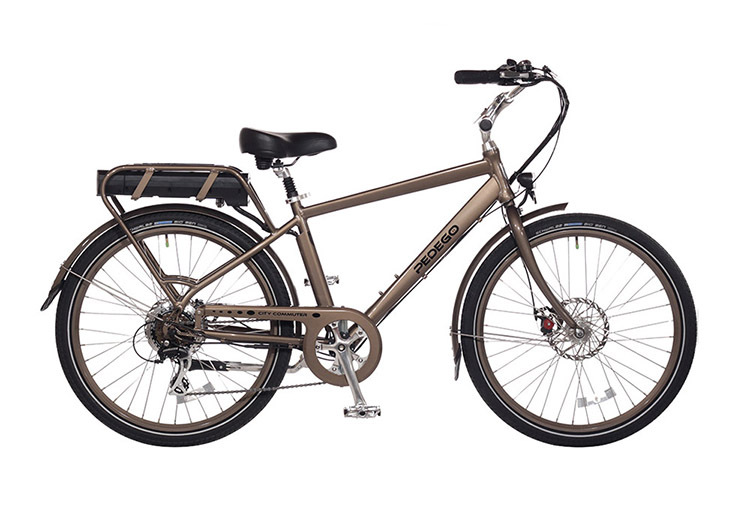 In addition, this model features a full coverage chain guard, fenders with mud flaps, five levels of pedal assistance, an LCD display with a USB charging port, front lights, rear lights and Kevlar belted tires. Customers love this model for its design and power. The package comes with a tool kit, touch up paint, an extra fuse and three keys to the battery compartment. Having both throttle and assistance modes is great. Riders appreciate the high quality finish as well as the great LCD display which shows an odometer, total time of ride and battery life. Some customers find that the built-in head light and tail lights are not bright enough. So a good hack is plugging in a USB rechargeable light. Overall, the bike is well-designed and most customers end up purchasing more products from the same brand after the first experience. 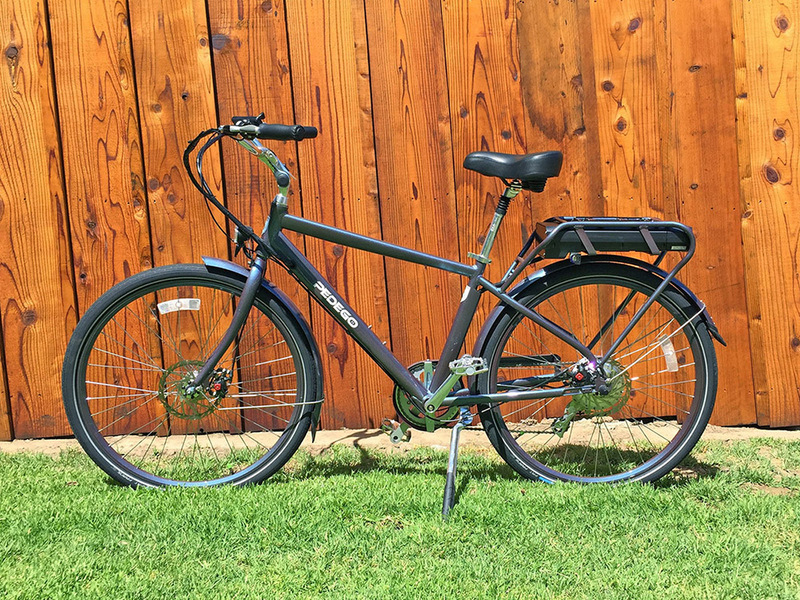 The Pedego City Commuter Classic is your 20th century classic bicycle but with all the trimmings of a top-of-the-line e-bike.